Snow Island Review Editor Jessica Upchurch and staff member Josh Knight look through the newly-published spring 2011 issue of literary and arts journal. Snow Island Review, Francis Marion University’s literary and arts journal, recently printed the spring 2011 issue and is currently accepting submissions for the fall 2011 issue. Students can submit any of their written or art works. Each student is allowed up to four written and/or art submissions. Snow Island Review will be accepting submissions until March 7. The drop box for submissions is located in the Writing Center in Founders Hall 114-C. Guidelines for submissions can be found outside the FMU Writing Center or the Snow Island Review bulletin board on the first floor of Founders Hall. After the submission deadline, the Snow Island Review staff will review submitted works. After a lengthy deliberation process, the staff will make final decisions about which works will be accepted. Students whose works are accepted will be notified soon after, and the names of accepted submissions will be posted outside the Writing Center. If students have questions or would like further information, they may contact the editor, Jessica Upchurch, in the Writing Center or faculty advisor, Dr. Jon Tuttle, at jtuttle@fmarion.edu. The most recent issue of Snow Island Review, spring 2011, was just published and made available on Feb. 21. 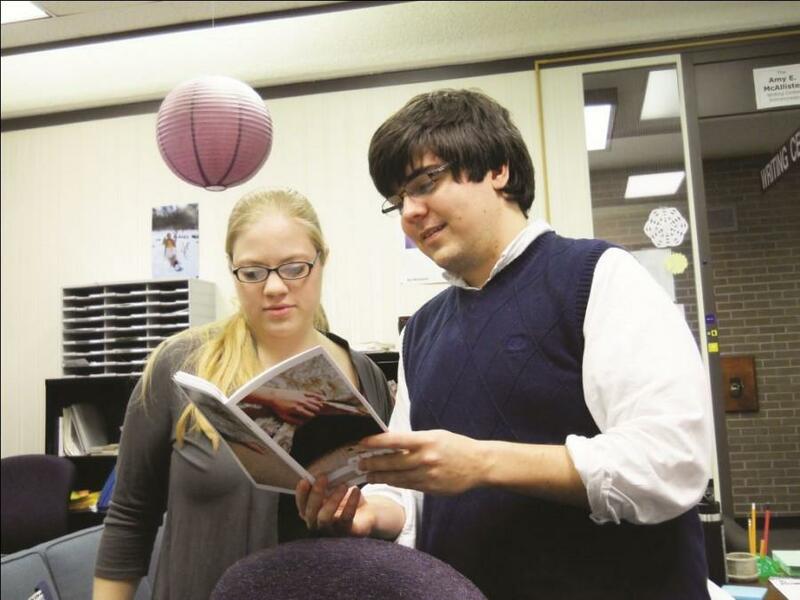 Both editor, Jessica Upchurch, and layout and art editor, Michaela Moore, are excited about the spring 2011 issue. Michaela Moore designed the cover art for the spring 2011 issue. The cover is displayed on the Snow Island Review bulletin board. According to Moore, there is a very clear concept behind the cover. The spring 2011 issue of the magazine has much more to offer besides a creative artistic direction, however. Jessica Upchurch believes one of the issue’s strongest points is the variety of accepted works. Upchurch also stressed that she would like this variety and wide range of interested students to continue to the next issue. She hopes that all FMU students will consider submitting their written or artistic works, even if they are not considered “typical” or traditional.